“Alarming” is how a county councillor and HSE regional health forum member described the loss of 11 staff from the Galway, Mayo, Roscommon ambulance service in the past four years. Cllr Donagh Killilea said action was needed to stem this worrying tide. “It is a very frightening situation to find yourself in, losing a full ambulance crew in four years,” he told a meeting of the forum at Merlin Park Hospital this week. The county councillor had queried how many staff had left the service before retirement age in the past four years and the reasons for their departure. He said it was important to retain valuable ambulance staff and urged the health authority to do “something extraordinary” to stop this trend. 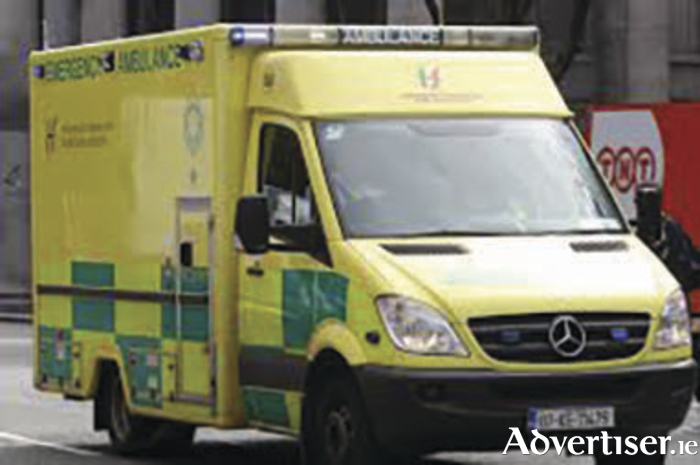 In a written reply the West National Ambulance Service outlined that 11 staff had left the Mayo, Galway, Roscommon service before retirement age from September 2011 to the end of August of this year. It cited the following reasons for their departures:- wished to leave having reached minimum retirement age, personal reasons and going abroad. Cllr Killilea went on to seek confirmation that the Tuam ambulance base had sufficient staff to provide a reliable service to the north of the county. His concern was motivated by the fact that there were reports of Tuam based ambulances going to work in Galway city, he said. It pointed out that approval was received for 11 staff and it was intended that these would be appointed in the next 12 to 18 months. The statement continued that the National Ambulance Service deploys ambulance crews in a “dynamic manner” and crews operating in Tuam can, if necessary, be deployed in Galway city, north Galway, south Mayo and west Roscommon. The same principle applies across the west and the remainder of the country with the National Emergency Control Room deploying crews to ensure optimum response and spatial spread of crews.